"Stick your world as you like it..."
The set consists of 36 Tipis in size 4.4 x 5 cm. The color is customizable. Up to 2 colors can be selected at a time. Via the notification field you have the possibility to tell us your desired colours and, if necessary, your desired number of pieces. 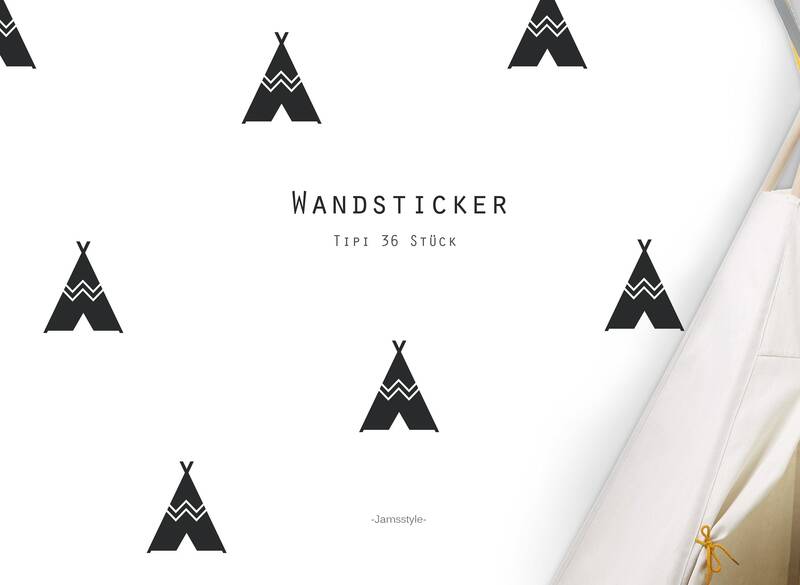 Wandsticker qualitativ hochwertig und super einfach in der Handhabung! Hält 1A! Dankeschön!!! Sehr schöne Wandtattoos. Leicht anzubringen. Wall sticker "Small stars" 3 cm, 80 pcs.